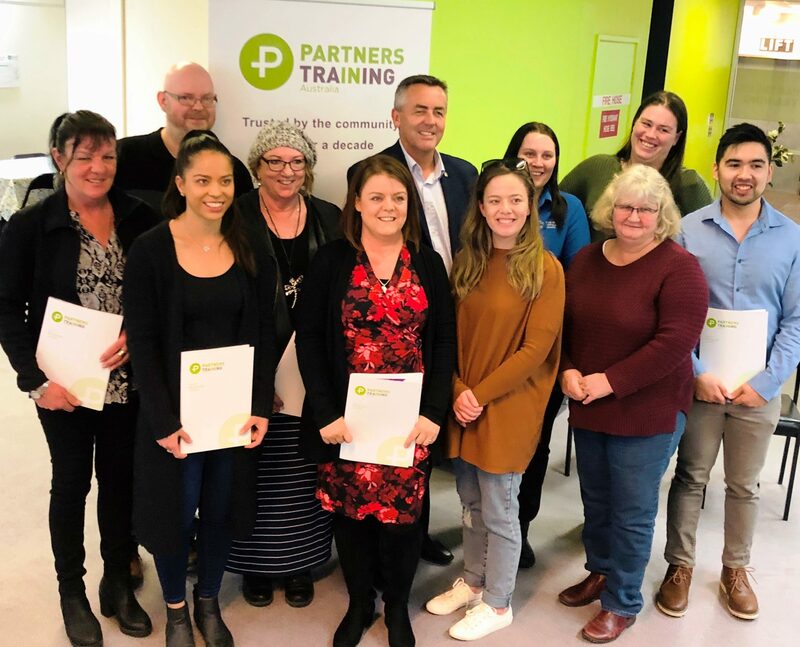 (back row) Stephen Ruebhart, Debbie McDonough, Federal Member for Gippsland Darren Chester, Laura Berry, Natasha Fehst, (front) Cheryl Hunt, Ethel Lang, Dale Philip, Grace Hadden, Dianne Stichling and Jarryd Wright pictured at the Partners in Training nurse graduation ceremony. Newly accredited nurses celebrated their graduation at a ceremony hosted by Partners in Training in Sale. Most of the 40 have already found employment, after completing two years part-time study. They have undertaken placements within Gippsland and across the state, from Omeo and Orbost to Dandenong and Bundoora. “I simply say thank you for your service to our community and for choosing a career that will help to save lives,” Mr Chester said.